We talked about the various layers from the bottom up and there was a reason to this story that is clear today as Red Hat launches the Red Hat Cloud Suite. 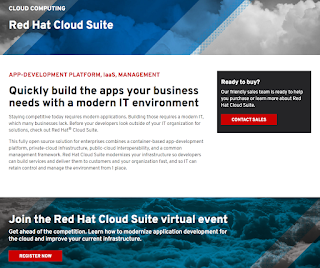 Red Hat Cloud Suite is an integrated combination of open source software, including a container-based application development platform and massively-scaleable cloud infrastructure, with a unified management framework. 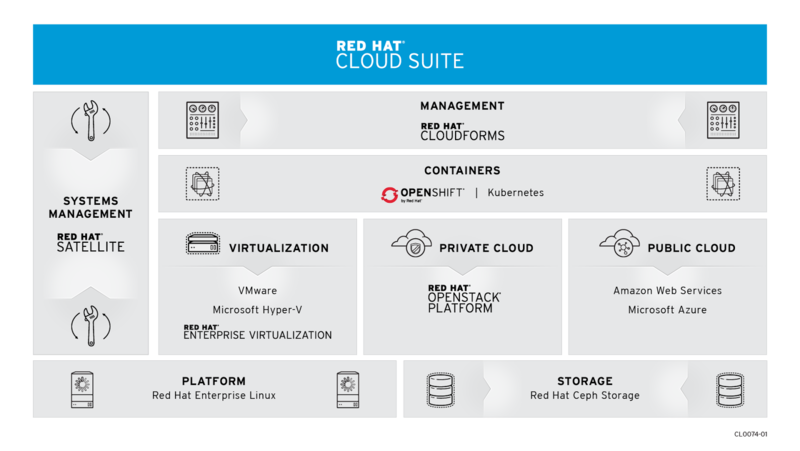 Red Hat Cloud Suite is the first of what will be a family of Red Hat Suites, which are a combination of multiple Red Hat products optimized to work together and solve a specific customer scenario, with increased ease of use and management for customers. At its infrastructure foundation, Red Hat Cloud Suite builds a private cloud based either on Red Hat OpenStack Platform with public cloud-like scalability as well as Red Hat Enterprise Virtualization, which is based on high-performance virtualization. Both of these underlying choices provide secure and scalable foundations for hosting the development platform known as OpenShift Enterprise. 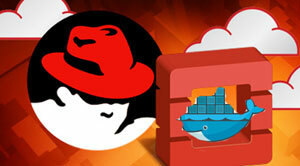 OpenShift automates the development and administration of container-based applications. 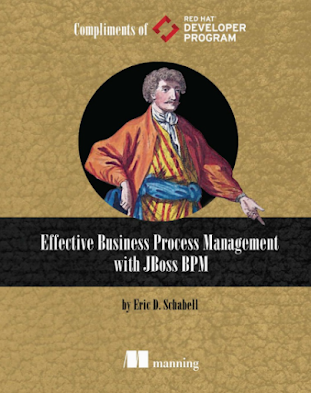 This marriage of infrastructure and application development is seamlessly administered by a unified, single management framework offered by Red Hat CloudForms, and complemented by powerful lifecycle management from Red Hat Satellite. The solution also leverages a SaaS-based risk management tool, Red Hat Insights, that collects infrastructure analytics, enabling customers to quickly and proactively manage technical risks before they impact operations. 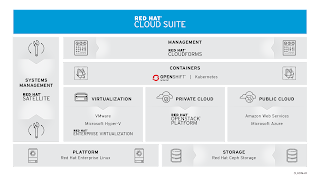 Red Hat Cloud Suite users can also make use of Red Hat Ceph Storage, an open, massively scalable, highly flexible software-defined storage system that is now bundled with Red Hat OpenStack Platform. Red Hat Ceph Storage is designed for commodity hardware and overwhelmingly preferred by OpenStack users because of its seamless integration with OpenStack’s modular architecture and components for ephemeral and persistent storage. 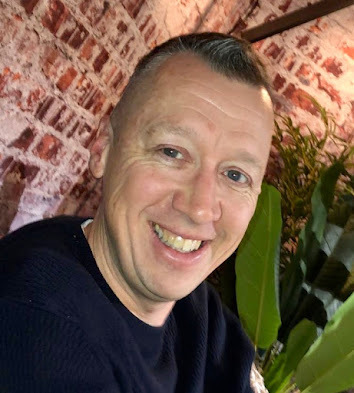 As you can imagine, this is a complete and all encompassing Cloud stack solution that offers a lot to an enterprise, but might be left asking yourself, "How can I experience the Red Hat Cloud Suite as an application developer?" In preparation for this product launch we have been working hard to provide you with exactly that, the application developer experience. 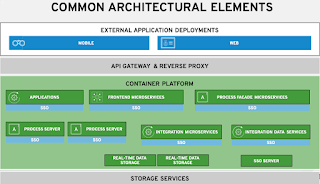 When you look at the product architecture and if you have followed the App Dev Cloud Stack series, you will find your window to the Cloud as an application developer is OpenShift Enterprise. We have been busy putting together the following example projects so that you can get a taste of the Red Hat Cloud Suite from the comfort of your own local machine, no data center needed. The widow to this world for application developers is OpenShift Enterprise, so we have provide this through the Red Hat Container Development Kit (CDK) and JBoss middleware examples. That is quite an arsenal to get you started and rocking in the Red Hat Cloud, but we are not finished. Be sure to stay tuned for more around application development on Red Hat integrated solutions like the Red Hat Cloud Suite.